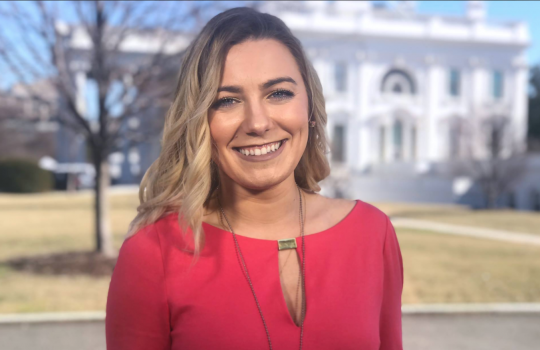 Republican Morgan Murtaugh announced Tuesday her entrance into the race for California's 53rd congressional district, a move her campaign claims makes her the youngest candidate for Congress. Murtaugh, in her mid-20s, is vying to represent the San Diego county district currently represented by Rep. Susan Davis (D.) and that leans heavily Democratic. Murtaugh's campaign site open's with: "One word to describe Morgan Murtaugh? Dynamic." The lifelong San Diegan has an impressive resume for her age, having worked for the Commander, Naval Air Forces as Assistant Protocol Officer, and as a commentator for One America News Network. "Tired of career politicians who are only concerned about the next election, she is now running for CA-53 in order to represent her friends, family and neighbors in Washington," her site states. This entry was posted in Politics and tagged 2018 Election, California. Bookmark the permalink.